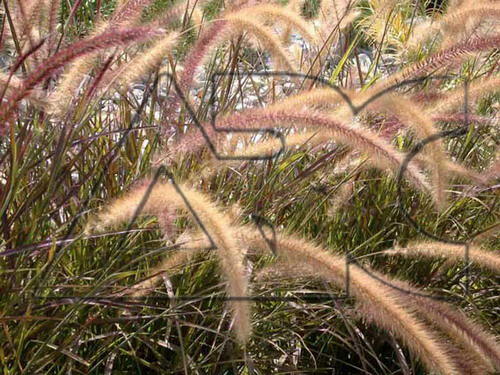 This clump-forming, densely tufted grass goes dormant during winter months and flowers are crimson to pink cattail-like. . Known for self-seeding, locate the grass where this will not be a problem or remove seed plumes before they mature. 'Rubrum' has burgundy to reddish-brown leaves and even darker plumes.